All under one roof. Hassle-free. Delivering successful residential and commercial projects, we provide interior design, building, and refurbishment services for schemes in London,  from concept creation, through to construction phase and furnishing. We pride ourselves in always sticking to client’s budget and delivering our job on time. With meticulous planning and clear communication, we help you to make the best possible use of your space. From refurbishment to interior design enhancement, we will help you make the most of what you already have. Tailored for every project.Tailored for every project. All under one roof. We start with developing a project brief: site survey, analysis, project feasibility, design vision, planning limitation, budget, and timeframes. We prepare a programme of work and detailed scope of works. 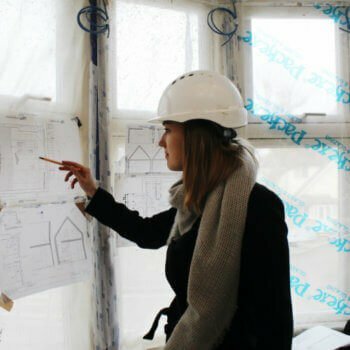 At this stage, we prepare a preliminary design and deal with planning application, brainstorming initial design ideas, getting planning advice from the planning consultants and monitor the submission of the planning application. We also consult with structural engineering, structural, and mechanical engineers; organise party wall surveying, and building control, and health and safety. Interior design process can run parallel with all other works. We make sure we plan our design work around the construction schedule to avoid any delays. 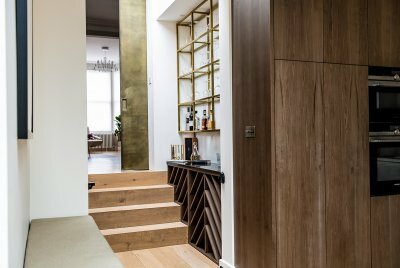 We deliver concepts and technical design; mood boards, finishes and samples presentations, FF&E specifications, bespoke joinery and kitchen design. We also procure all materials, finishes, and fixtures and overlook deliveries and installation to ensure the best result. We run in-house project management, including all subcontractor management, to make sure we are on the top of the things and provide clients with progress reports on regular basis. Our in-house construction team delivers every aspect of the construction process. We do not sub-contract our construction services. We provide full construction services, from shell and core to full fit-out works and finishing. At the completion of the project, all our clients will receive a document containing all their warranties, maintenance instructions, and useful contact information for any main services and suppliers.